A teenager has been detained after opening the emergency door of a passenger plane and sliding down a wing onto the tarmac minutes after touching down in San Francisco, officials say. The boy, 17, shocked passengers on board the Copa Airlines flight from Panama City as he flung the door open before leaping out on Tuesday. He was confronted by construction staff working nearby and held until police arrived to arrest him. The boy, a US citizen, was not harmed. Passengers said the teenager seemed fidgety and anxious throughout the flight and that he had acted very quickly, making it difficult to stop him, according to the Associated Press news agency. 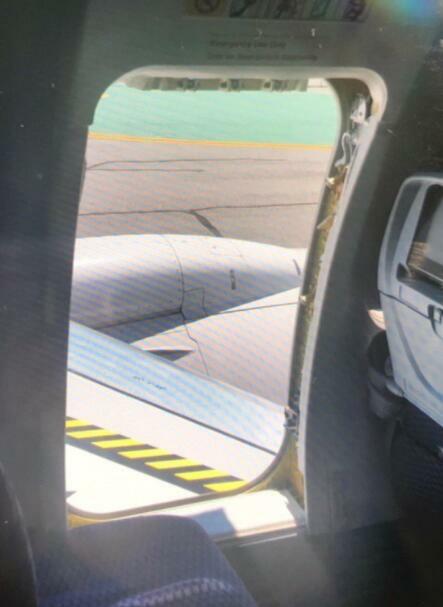 One eyewitness, Sophia Gibson, told San Jose's KNTV that people were shocked when the passenger leapt through the door and onto the plane's wing. "It was as if he was like flying out, like it was really fast," Ms Gibson said. Another passenger, 11-year-old Andrea Sepulveda Guzman, told CBS San Francisco that people had started to scream. "This guy, I see him jump on the wing and then he starts climbing down the wing and then he just runs. And then he just starts running the other way. And everyone was just screaming," she said. It was not immediately clear why the teenager had leapt from the plane and run. San Francisco Airport spokesman Doug Yakel said the boy was travelling alone, adding that no runways or flights were affected by the incident. 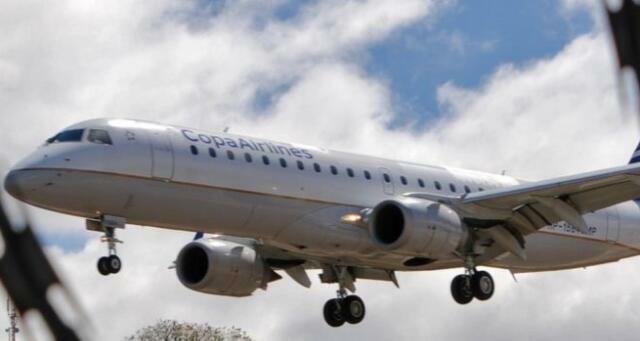 A Copa Airlines Flight 208 crew member closed the emergency door and the plane taxied to its gate, where all remaining passengers alighted without incident, the Panama-based airline said in a statement on Tuesday. The airline added that an investigation was under way and that it was co-operating with the authorities.